View cart “Monopoly American Chopper Collectors Edition Board Game – New” has been added to your cart. Step back in time as you buy, sell and trade popular dinosaur species. 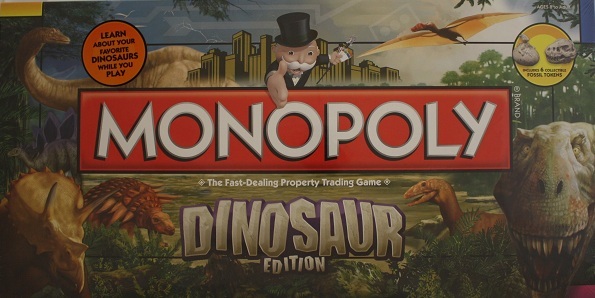 Learn about your favourite dinosaurs while you play in this unusual version of the popular board game Monopoly. Complete with six collectible fossil tokens including Claw, Egg, T-Rex Skull, Footprint, Skeleton, Triceratops Skull.